Water-repellent shoes designed for a custom fit. 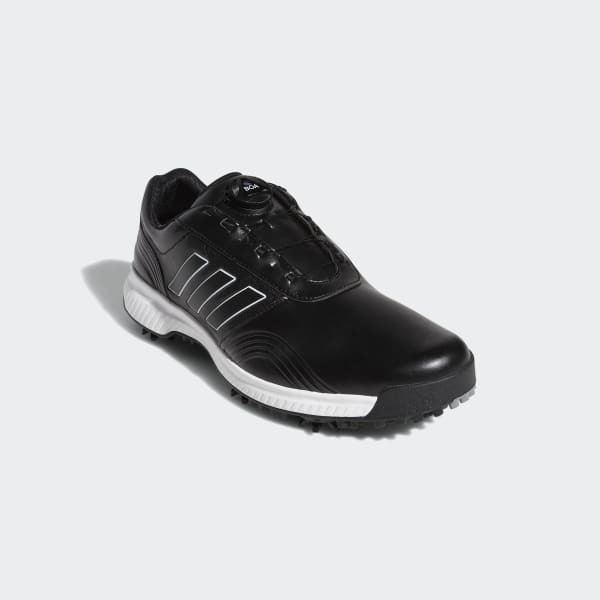 These golf shoes provide breathable water-repellent protection as you outsmart the elements. Designed with extra room in the forefoot, they're built with a customisable closure system for an enhanced fit on every stroke. The lightweight synthetic leather upper adds stability, and the flexible midsole cushioning offers walking comfort. 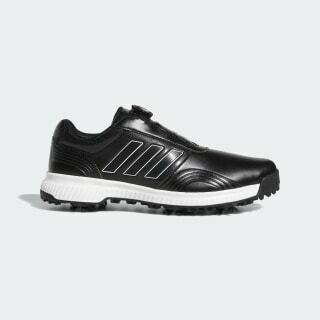 A durable outsole gives you grip and traction on soggy greens. Product colour: Core Black / Ftwr White / Silver Met.